The African Voices website will be featuring video interviews that the United African Organization has conducted with members of the African community in Chicago. These interviews took place over the course of the last year on CANTV (Channel 21 on Cable). This week we feature an interview conducted by the UAO’s Executive Director, Dr. Alie Kabba with Mr. Yussuf Ali, Director of the East African Community Center in Chicago. Mr. Ali is from Somalia and speaks about the experiences of Somalians in the U.S. as well as the situation in the horn of Africa more broadly. Tune into CANTV tonight at 6:30pm U.S. Central Time to see an interview with the Tanzanian Community Association of the Midwest. Tanzania celebrates the 50th anniversary of its independence on Friday 9 December, 2011! 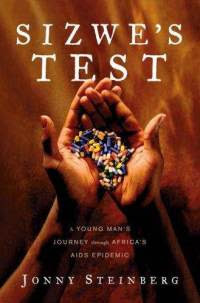 To mark World Aids Day, we interviewed Jonny Steinberg, author of Sizwe’s Test, which tells a story of the HIV/AIDS epidemic in South Africa through the eyes of Sizwe, a young man living in a rural part of South Africa, where the virus has decimated his community. South Africa has one of the highest rates of HIV/AIDS in the world – the prevalence rate is near 18%. In this interview, Steinberg talks about what can be done to combat the virus in Southern Africa and beyond. He also discusses the role that regional coalitions on the African continent can play in making sure preventative measures against the virus are put in place, and those already infected, can live a decent life.